Fall is here, so it’s time to stock up on the hoodies! Not just any type of hoodie, though. You need something pot-friendly, of course. Summer is great and all. But Fall is where it’s at. Not only do you get to bust out the leggings and boots, but there’s also Halloween. Oh, and pumpkin spice everything. While the weather may still be relatively warm, it won’t be long before it starts getting chilly out there. For that reason, it’s time to stock up on the hoodies. Not just any type of hoodie, though. You need something pot-friendly, of course. So here you go, here are the 10 best weed hoodies for Fall. HUF is fresh out of this dank hoodie. But lucky for you, Zumiez still has some in stock. And if Black isn’t your color, this same pullover also comes in mint. Part flannel, part hoodie, this piece from Some Girls Get High would go nicely with a pair of leggings. Or, just a plain ol’ pair of jeans. Regardless of how you sport it, this hooded jacket is everything you need to stay all warm and cozy this Fall. Are you a Canadian that supports legalization? If so, then why not rock this hoodie designed by like-minded folks? In fact, the company Weed Up! Limited is Toronto-based, and their primary goal is to help spread awareness surrounding the benefits of medical cannabis. Sometimes, simple is best. And that’s all the more reason to fall in love with this hoodie by Jacquie Aiche. While it is a little expensive for a pullover, it’s super cute and far from tacky, unlike most weed-friendly hoodies you see. Los Angeles? No, bro, more like Los Ganjales. If you like what you see, then you better act fast. Once these hoodies sell out, they will not be restocked, according to Bong Beauties’ website. Created by stoners for stoners, this hoodie from Kush Friendly is the perfect way to show off your love for Mary Jane. Not only is it affordable, but it’s also extremely comfortable. Not to mention, it’s thick enough to keep you warm and is breathable at the same time. In case you’ve ever wanted a hoodie with some guy wearing a Captain Chronica shirt, which just so happens to be the name of the brand, then here’s the perfect thing for you. There’s only two in stock, though. So grab one while you still can. Now, here is a fashion statement that’s as positive as it gets. GENIFER M sells jewelry, for the most part, but the company also has this adorable hoodie for only 40 buckaroos. 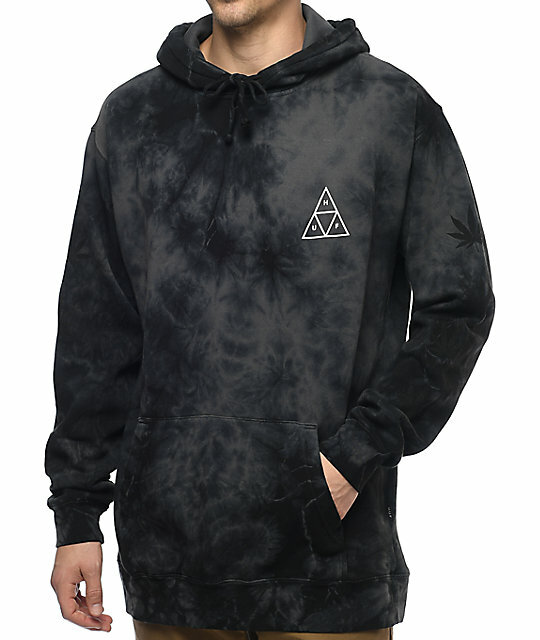 If you want to support a business that also supports legalization, then this hoodie is a great way to do so. Both casual and comfy, this full zip hoodie from Weed Snob Gear belongs in any cannabis connoisseur’s closet, especially if you’re a Seattle local. And if you are, be sure to stop by one of Evergreen Market’s three locations. From their tasty flavors of flower to their yummy soup edibles, they have all kinds of products worth trying out. Finally, saving the best for last, a hoodie that you can wear and also smoke! Well, you can’t fire the clothing up, but you can smoke your bud right out of it drawstrings.